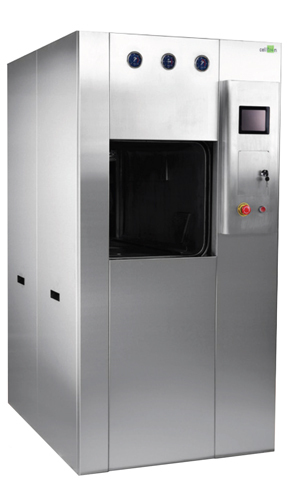 Pre-vacuum/gravity steriliser designed to cover a large field of applications for hospital, veterinary and medical centres. Steam under pressure as the sterilising agent. Operating Range of up to 2.5 bar/138 degrees celsius. Microprocessor based control system, state of the art 'Freescale' technology. Blue graphic display. Impact Printer and Steritrace software included. 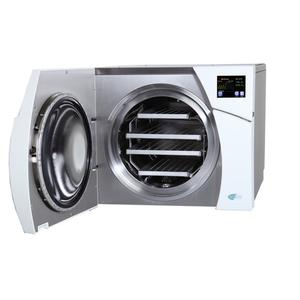 The Azteca A sterilizer family consists of fully automatic pre- and post-vacuum sterilizers designed with the highest quality to cover a large field of applications for hospitals and laboratories, as well as pharmaceutical and bio-technological industries. 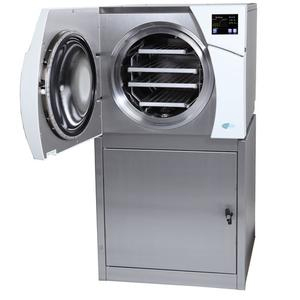 The Azteca A sterilizers use steam under pressure as the sterilizing agent for wrapped or unwrapped goods such as fabrics, surgical instruments, utensils, and other heat and moisture stable materials at temperatures from 121°C to 134°C. The units can be equipped with internal steam generators to enable faster cycles with efficient energy consumption, and eliminate the dependence on an external steam source and its steam quality. The square chamber is made of stainless steel 316L, while the external frames, internal frame and piping system feature stainless steel construction. The front of the sterilizer includes a service panel to provide access to the piping components. The advanced insulation technology further contributes to the high energy efficiency of the units. A microprocessor control system, state of the art Freescale technology, automatically controls all operations. 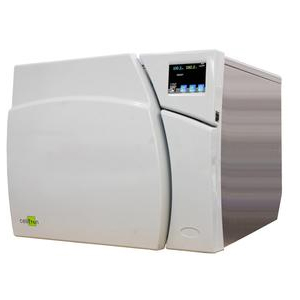 The system includes a 5.7’’ digital touch-screen color LCD display, communication, self and remote diagnosis and PC connection for external documentation and printing, ensuring a reliable, safe and user-friendly operation.